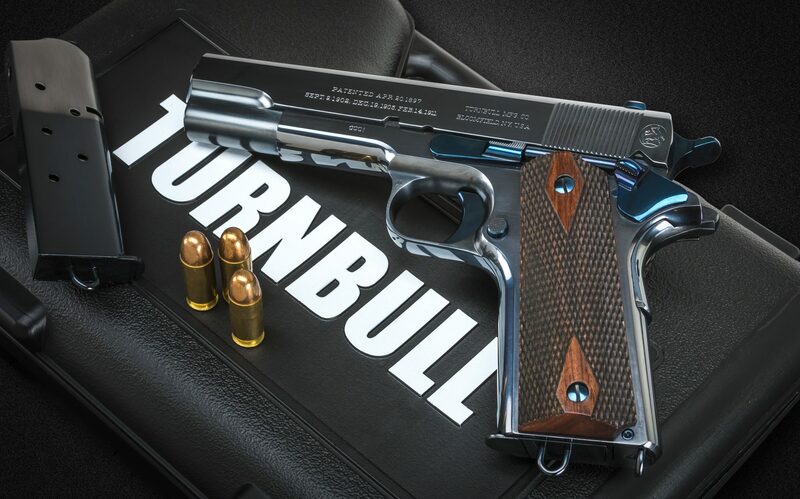 Turnbull Restoration is proud to announce a limited edition recreation of the iconic Commercial 1911 Pistol. These semi-automatic pistols in .45 ACP are finished in the circa 1912 early style, including a high polish charcoal blued slide and frame. 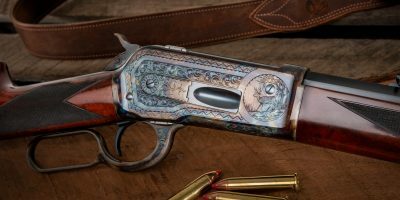 The one piece solid steel trigger as well as the slide stop hammer and grip screws are nitre blued for strength. 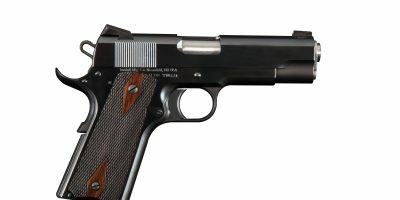 Two 2-tone magazines with the then standard lanyard loop are included. Serial numbers and other stampings are consistent with the style used on the originals on the left front of the frame. 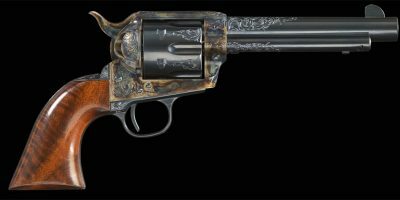 Every pistol has our “Turning Bull” mark on the left rear of the slide. 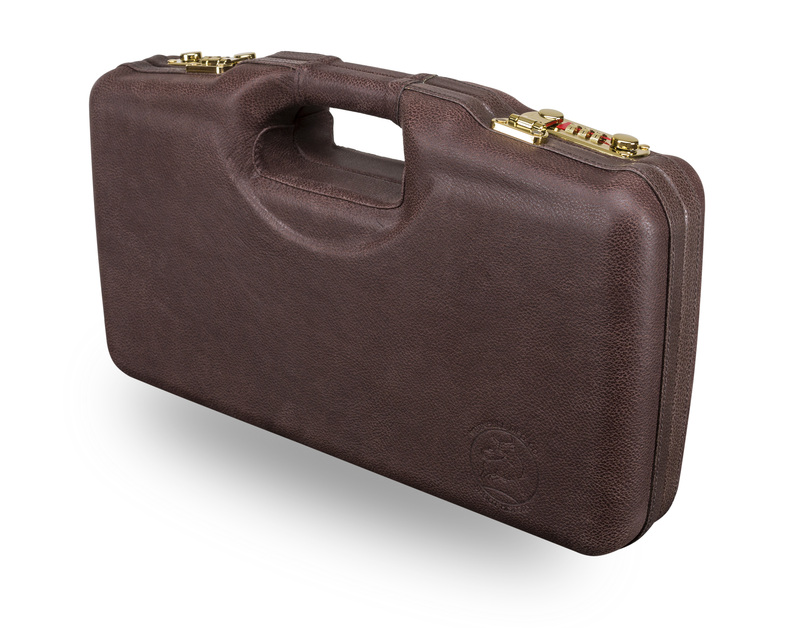 Each Turnbull Commercial 1911 includes a Turnbull branded leather case. 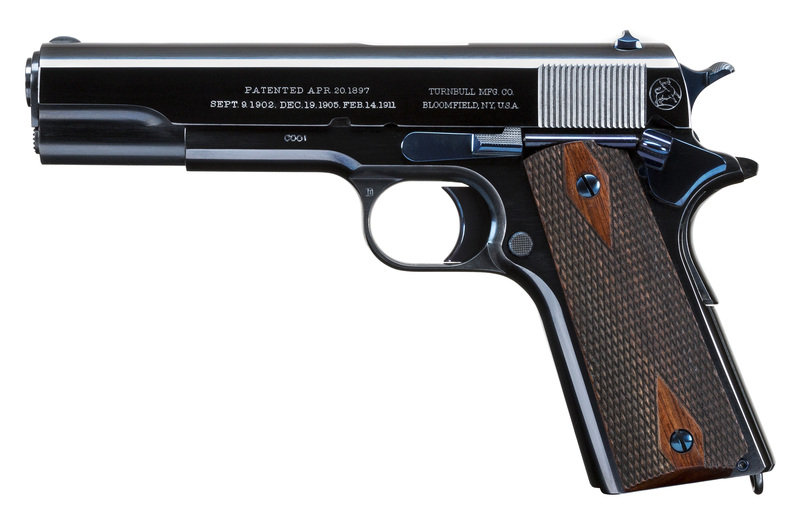 The pistols have a 5 inch barrel and a WWI style ejection port. 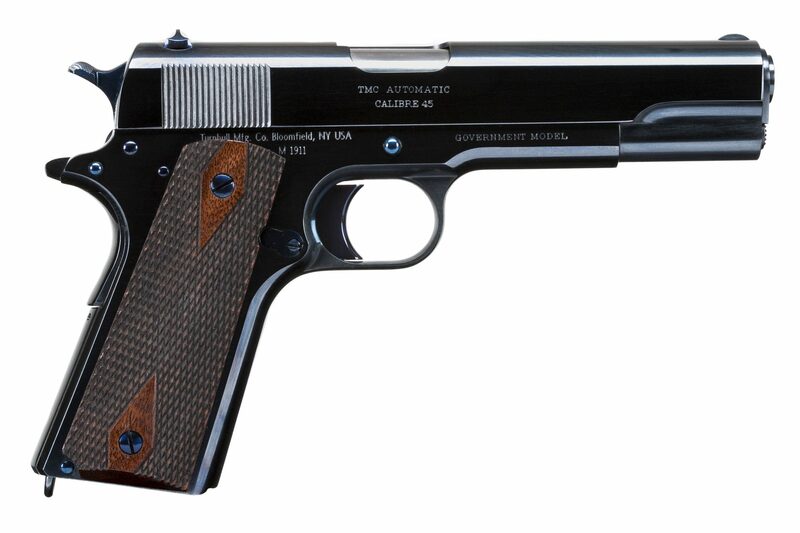 The sight is also in the WWI style with a semi-circle notch. 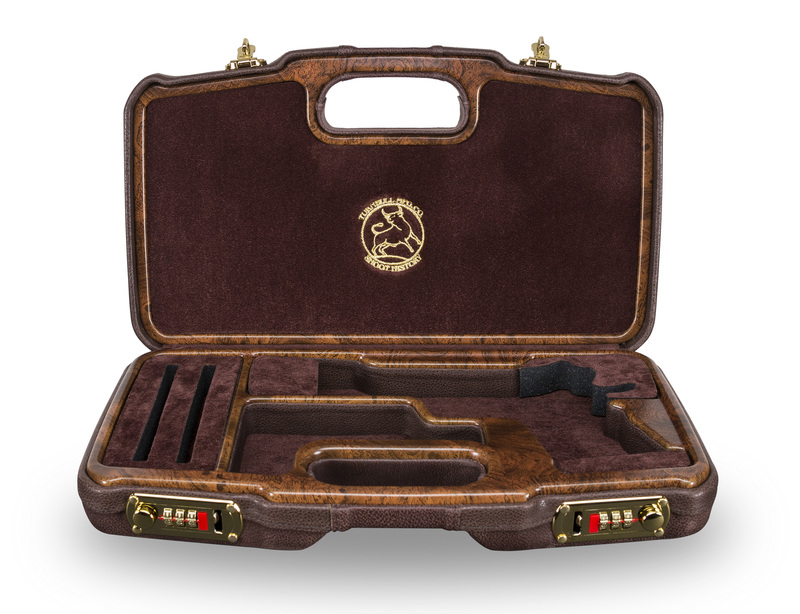 The grips are hand checkered double diamond pattern in American Black Walnut. The safety lock is in the early style with a knurled undercut thumbpiece. Production is limited to serial numbers C001-C020. Customers can select any of the remaining numbers when they order.